Traditional Pure Copper Drinkware Copper Sigdi No.3 Utensils for Indian Ayurveda Health Benefits. On Purchase you will Get: 1 Copper Sigdi with Free Cleaning Powder. DECLARATION - Buy ORIGINAL INDIAN ART VILLA products from the seller "Indian Art Villa". India Art Villa is a Registered Brand & Does not Authorize any other seller to sell their products under our Name. Indian Art Villa does not provide any quality assurance for products bought from other sellers. For Pure Copper Items: Like a fine wine, our products get Better with age. 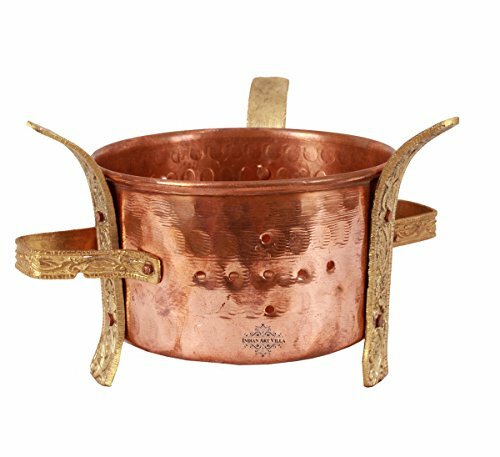 Indian Art Villa Indian Art Villa Copper Brass Food Warmer Angeethi Traditional SIGDI Suitable Use For Restaurant Ware Hotel Ware Home Ware Copper is available for 695 Rupees on Amazon India. This price is vaild for all major cities of India including Delhi, Mumbai, Kolkata and Chennai. 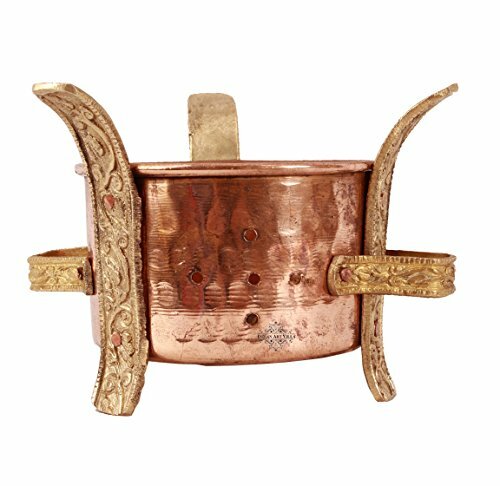 The latest price of Indian Art Villa Indian Art Villa Copper Brass Food Warmer Angeethi Traditional SIGDI Suitable Use For Restaurant Ware Hotel Ware Home Ware Copper was retrieved on 24th April 2019. 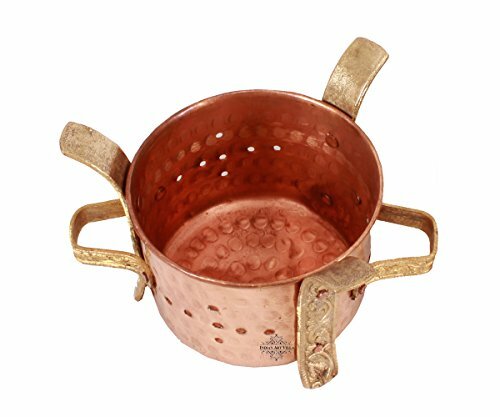 Feature Traditional Pure Copper Drinkware Copper Sigdi No.3 Utensils for Indian Ayurveda Health Benefits.